An all-new, high-performance Ford Mustang Boss 302 could be waiting in the wings, assuming our easter egg-deciphering skills are up to snuff. Automakers love to sneak small, hidden messages into press photos these days, and Ford is no exception. The automaker telegraphed the Ford GT supercar’s 216-mph top speed in a press photo recently, before that figure was officially made public, and last month, a pic of the 2018 Ford Mustang’s digital instrument panel contained nods to the pony car’s first year of production and original 289 V8. Also, quite possibly, the horsepower rating of the newest model’s revised 5.0-liter. But that’s neither here nor there. Our point is simply that it’s unsafe to assume that any individual element of an official press photo was included solely for its aesthetic value. Each object within the frame should be scrutinized, as it might just be a hidden message from the automaker. 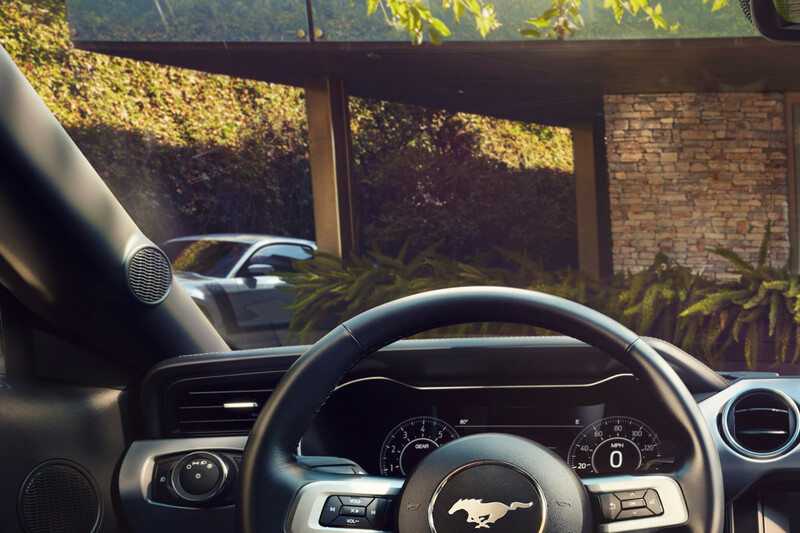 And as Fox News reported late last week, the presence of a 2012/’13 Ford Mustang Boss 302 in a photo of the 2018 Mustang’s dashboard is conspicuous enough to warrant consideration. It could have been included for no reason beyond its handsome good looks. Or, it could point to the possibility of a new, forthcoming Boss 302 based on the current S550 generation pony car. We believe the 2012/’13 Boss 302 shown here could be a hint that a new Boss Mustang is on the way. We’re leaning toward the latter interpretation. If we’re right, the new Boss 302 would be the first Boss Mustang to ever offer an independent-rear suspension from the factory, and it ought to put Team Chevrolet on notice.